Thank you for your interest in our A-1/WAVES Project scuba program. 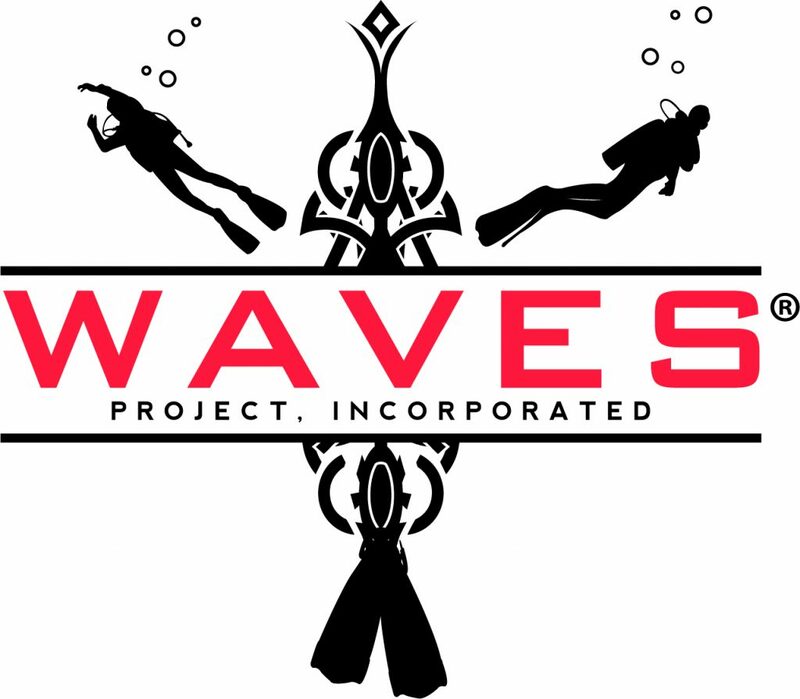 The WAVES Project is a 501 3 (c ) Non-Profit established to provide an opportunity for American Veterans with service connected disabilities to experience scuba diving. 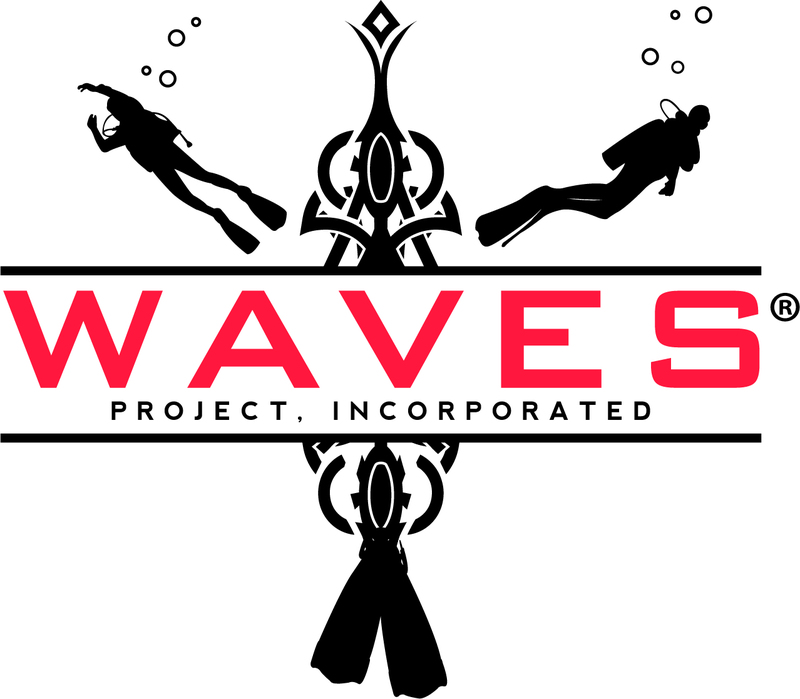 A-1 Scuba & Travel Aquatics Center is proud to be an approved “affiliate member” of the WAVES Project. 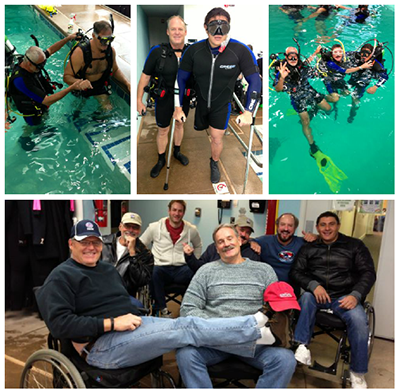 Our goal is to provide a Scuba diving experience for the men and women who, while serving our country, sustained injuries resulting in, but not limited to: PTS, amputations, spinal cord injury and other life-changing injuries. Each veteran, and a dive companion of their choice, have the opportunity to experience the freedom of scuba diving at no cost. Participants will experience the challenge, excitement and rewards of participating in an activity designed to facilitate the rehabilitation process of their injuries as well as help rehabilitate the family unit. The many benefits of diving include the reduction of the forces of gravity, which in turn has resulted in a decrease of pain, reduction of stress and anxiety, improved range of motion and strength, reduced spasticity, increase light touch and an improved sense of independence and self-confidence. Underwater, there is the soothing sound of breathing through your regulator as your bubbles float effortlessly to the surface. Movements are slower, gravity is nearly eliminated and muscles often move more freely. Please note: This program is reserved for veterans and a dive buddy who are NOT certified divers and limited to one free Discover Scuba Session. Each (WAVES approved) Veteran and their (WAVES approved) buddy will begin with a Discover Scuba Diving Experience in our onsite swimming pool, where they’ll quickly discover just how easy it is to breathe underwater. Before entering the swimming pool the A-1 instructor will collect and review the required documents (see link below). The instructor will describe and review some of the basic safety guidelines and skills needed to safely dive underwater. Then you’ll head underwater and experience one of the most unique activities you could ever imagine. We provide the use of all the basic diving gear including a mask, fins, regulator, buoyancy compensator, gauges and tank. All you need to bring is a towel, hygiene items and a desire to have fun. Those who successfully completed the Discover Scuba Diving Experience may be eligible to take the PADI Open Water Course. This includes home-study materials, pool sessions and open water training dives. More information will be provided after you completing Phase 1. Those who successfully complete the Discover Scuba Diving experience at A-1, may want to become a certified PADI Open Water Diver. The process for completing this will be discussed in more detail after the Discover Scuba Diving experience. We look forward to helping you and a buddy experience fun, excitement and exhilaration of scuba diving. Get ready for what many call, “a life-changing experience!” Some only talk about it. YOU’RE ABOUT TO DO IT!